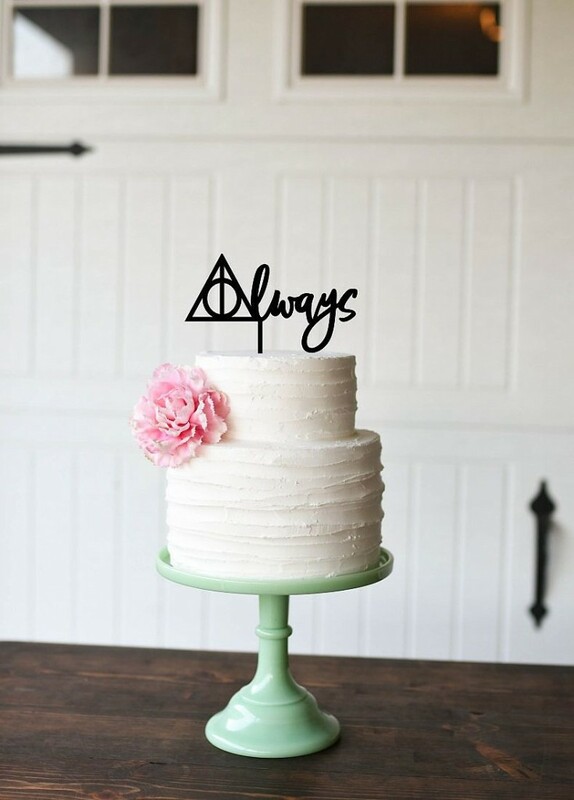 The “Always” cake topper is available in a variety of colors including black, white, gold, and rose gold. And you can also order it in several sizes to fit your wedding cake. You’ll find this wedding cake topper here. The site also has several other Harry Potter-themed cake toppers!